Beautiful Sandan-kyo Gorge, in the north of Hiroshima prefecture in the town of Aki-ota, is one of the earliest places in the area where you can enjoy the Autumn colors. Catch them at the right time and they can be absolutely stunning, their beauty enhanced by one of the area’s most “natural” spots. This is about the only time of year when you might find crowds at the gorge, but go on a weekday and there is a good chance you can enjoy plenty of peace and quiet. With its own particular climatic conditions, peak leaf viewing can be fleeting and generally is around the last two weeks two of October. 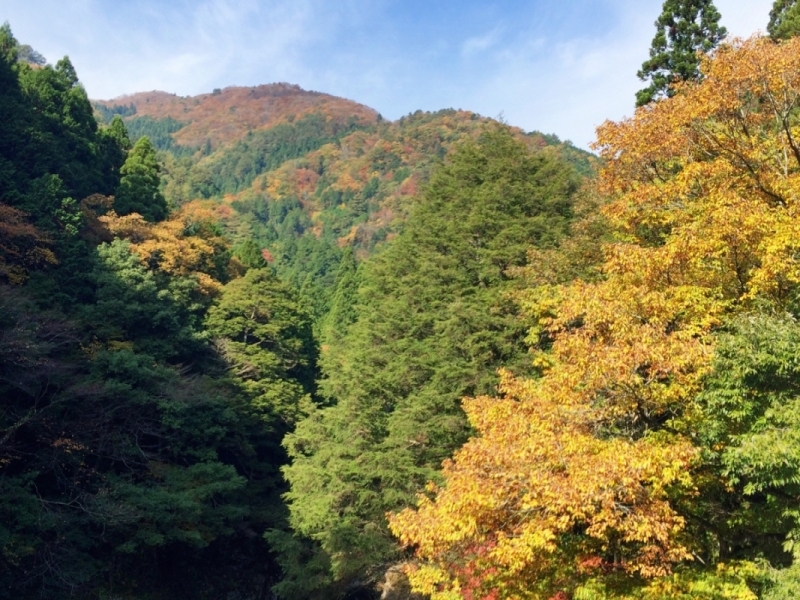 Although particularly pretty in Autumn, Sandankyo is a great place to hike most of the year.